In addition to serving as a senior advisor with G&M, Professor Clinton Francis is a tenured member of the Northwestern University School of Law faculty. Mr. Francis brings with him nearly four decades of experience in academia, teaching and researching in the areas of Bankruptcy and Commercial Law as well as Intellectual Property and E-Commerce. Mr. Francis is widely published on topics ranging from Commercial Law to Legal History, recently formed a business venture partnering law firms with Northwestern University (for the production and delivery of online legal instruction for corporations and professionals), and has been a pioneer in online and distance learning at Northwestern. Mr. Francis obtained his initial legal training in New Zealand, where he completed LLB and LLM degrees and was admitted as a Barrister and Solicitor of the New Zealand Supreme Court. After teaching for several years at Victoria University of Wellington, New Zealand, Professor Francis completed a doctorate in law (SJD) at the University of Virginia Law School, with scholarships from the Fulbright and Dupont Foundations. He came to Northwestern from University of California Berkeley Law School, where he taught as an associate. Since joining the Northwestern University School of Law faculty in 1978, Professor Francis has been the recipient of numerous teaching awards and has served on and chaired a variety of University and Law School committees. 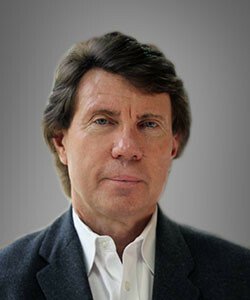 Mr. Francis also currently serves on the Boards of Advisors for several corporations. Language System (LS) 3.0: An Agenda for a Model of Innovation Valuation in The Role of Intellectual Property Rights in Biotechnology Innovation (Edward Elgar Publishing, 2009).